and it's a lengthy process! 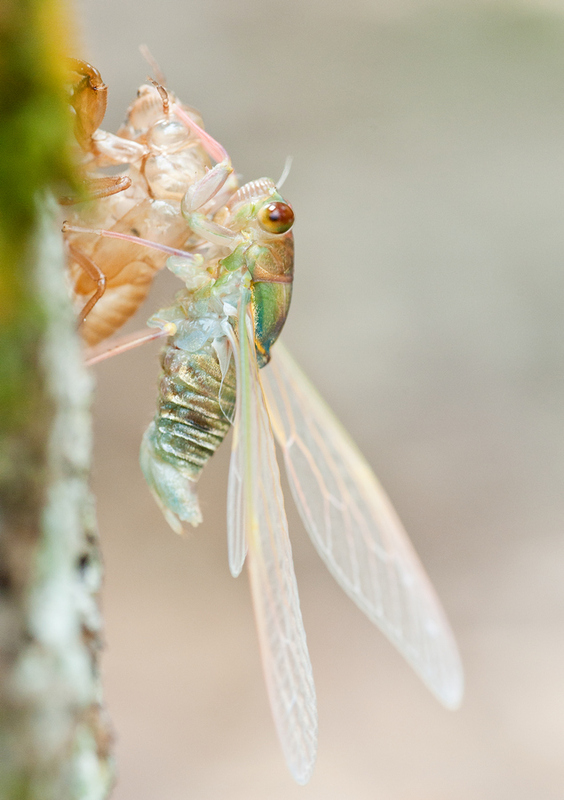 here's an account of Cicada molt from start till finish. The whole process took around 1 in a half or longer. 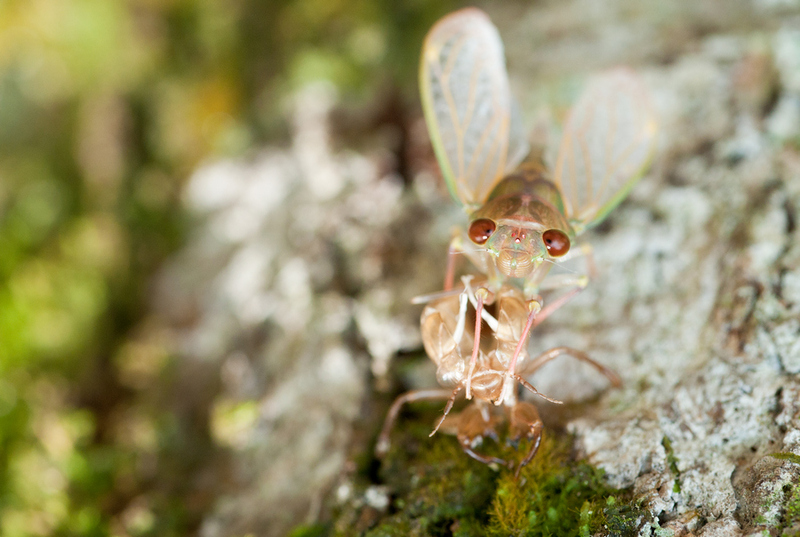 A Cicada, like all insects do not have a closed circulatory system like you and i. Their circulatory system is open, which blood flows freely around the body saturating the organs while supplying them with nutrients. 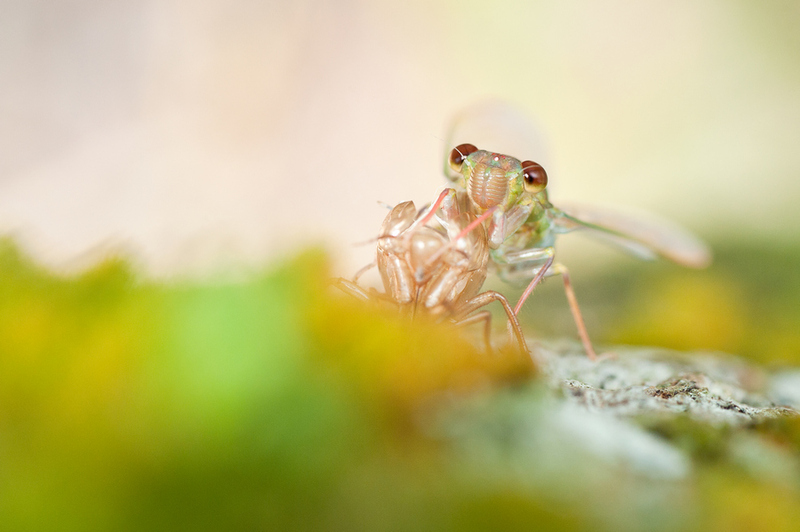 The free flowing of blood helps the Cicada to harden. 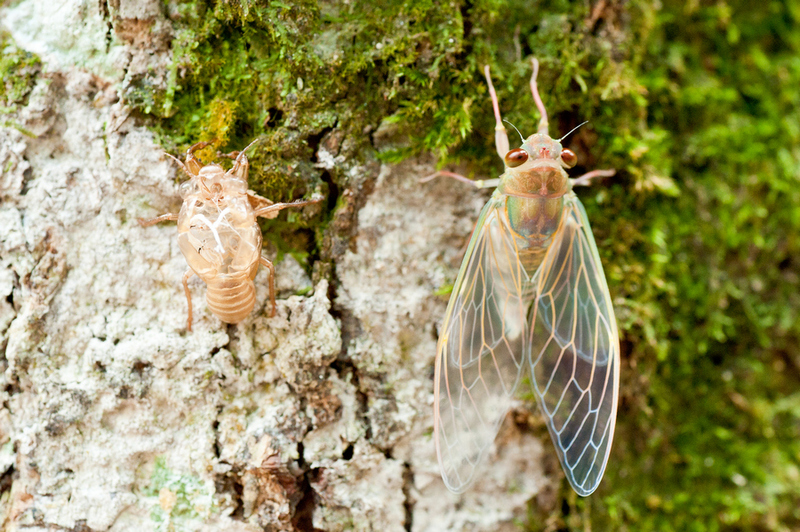 Which is why over time, the Cicada gets darker and darker in color. 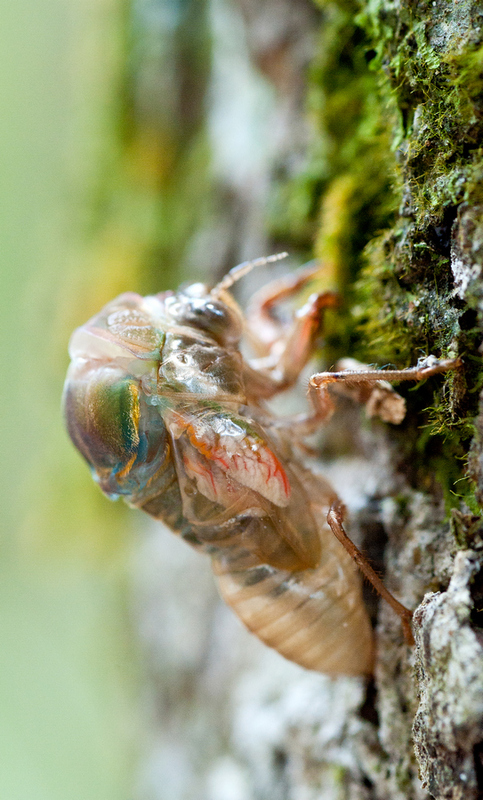 But then, not much blood flows to Cicada's legs as they remain mostly hollow. 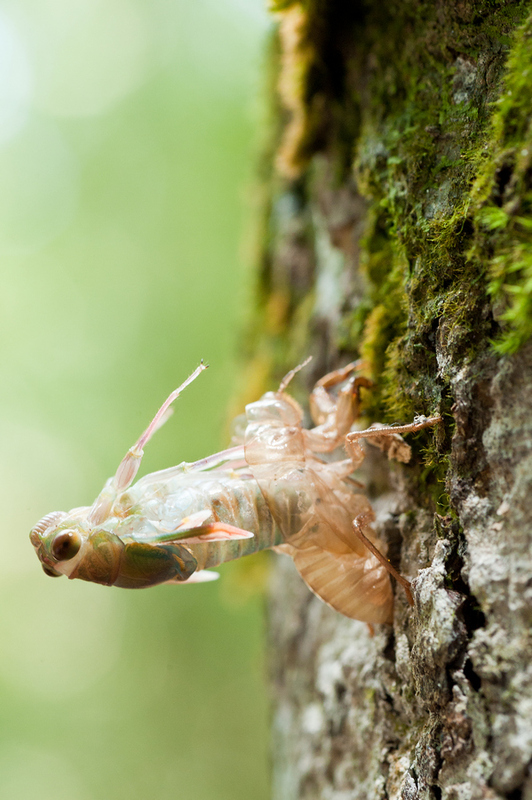 This is why Cicada stays so long in its upside-down position. Since their legs start out soft, if they try to use them to support their weight too early, it would probably be a disaster. 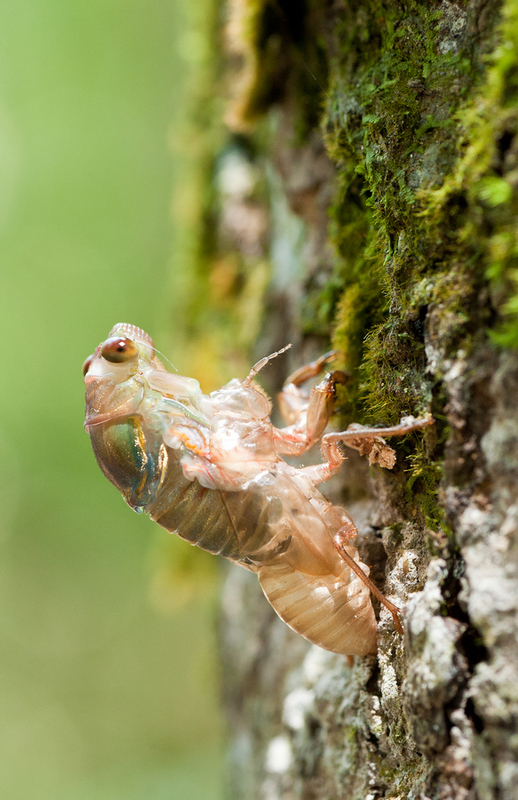 In the teneral stage which the Cicada has just finished out its molting process but still relatively soft. 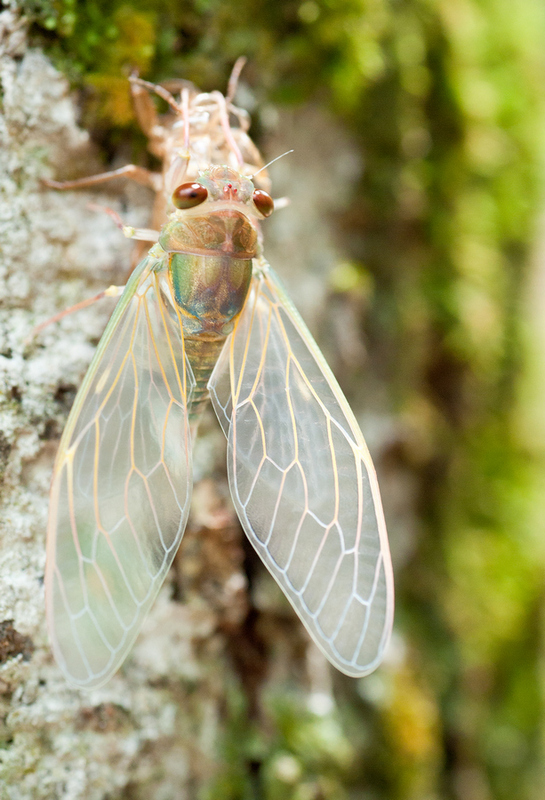 It's at this stage where the Cicada is most vulnerable. 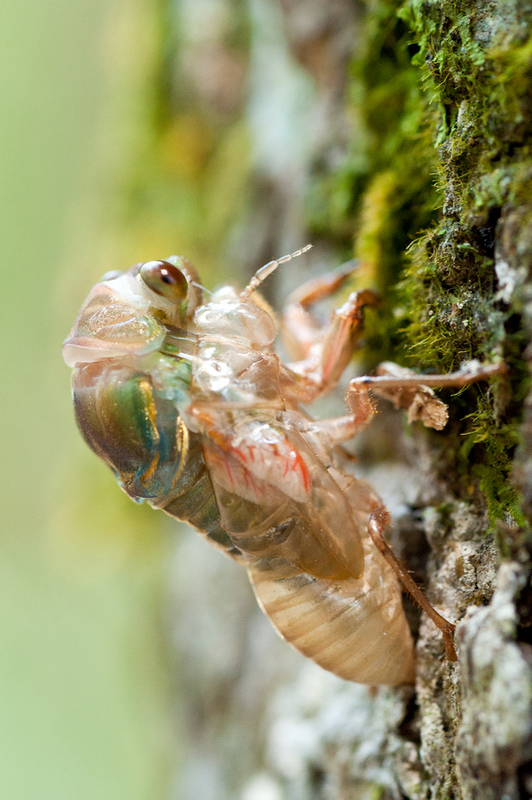 Usually, the Cicada teneral will not leave the vicinity of its discarded nymph shell, but it had been noted on some occasions that Cicada will often move a fair distance away from its nymph shell to find secluded spot to harden. The wings are also very fragile, should they brush against something or touched by human hands, irreparable damage can be done to the wings. 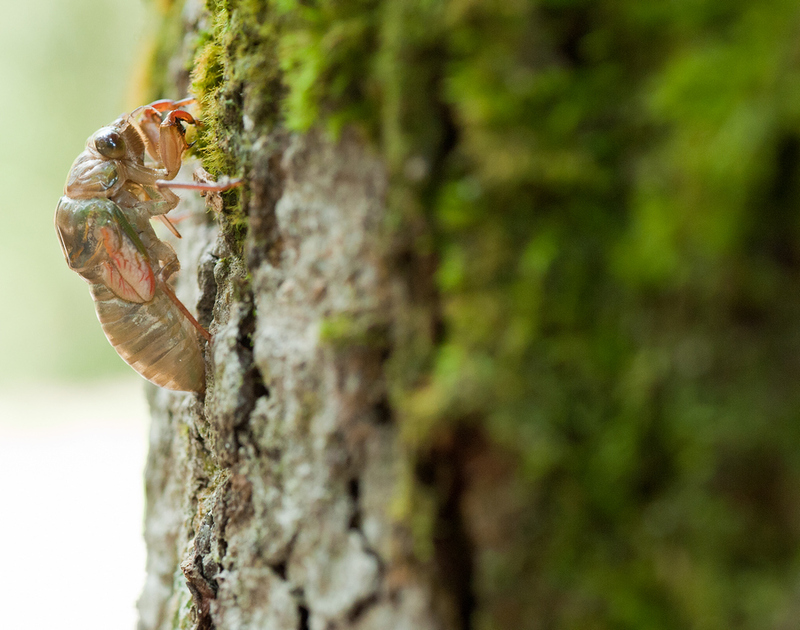 If you like lobsters or shell fish then Cicada Teneral may be just what you're looking for! 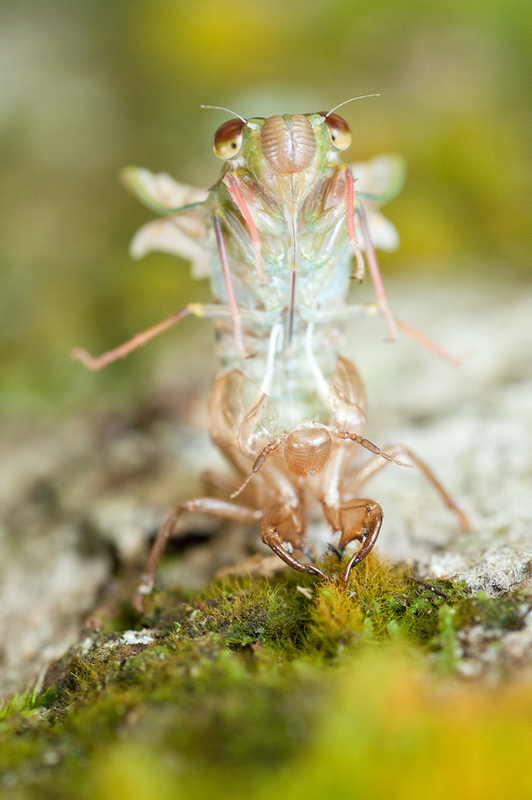 as for this stage, you can actually eat Cicada Teneral!!! 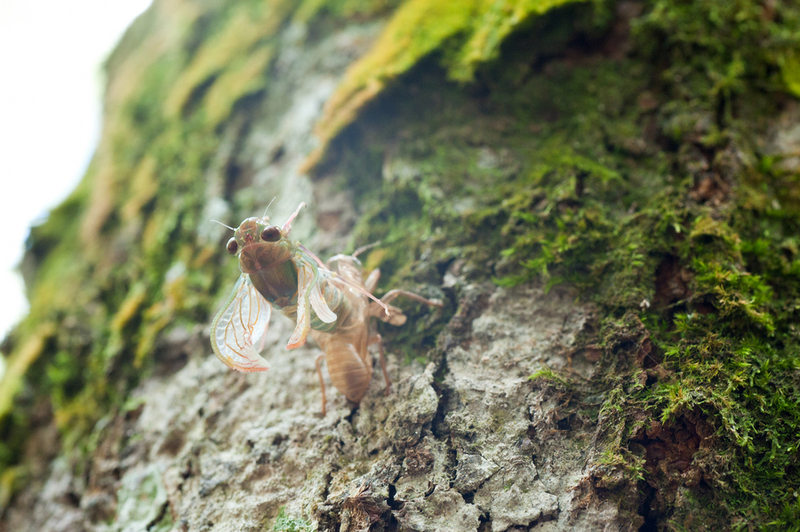 The soft and chewy Cicada Teneral!!! 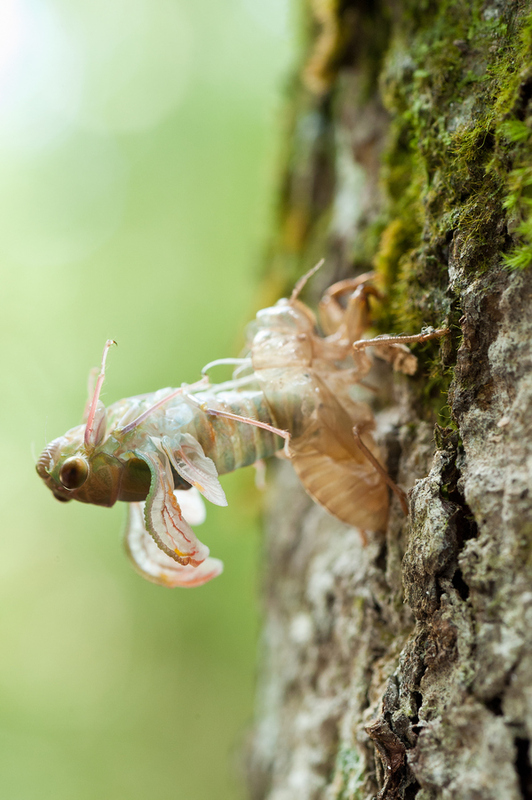 The Amazing Cicada Life Cycle.